Although thousands of air travel miles are saved every year by holding our network meeting in one place, we are always pleased to see when our Members make individual visits to each other’s offices. Our Founder Member, Freight Facilitators Corporation who joined UFO in 2000 was recently visited by Trans Pacific International Logistics who joined in 2010. 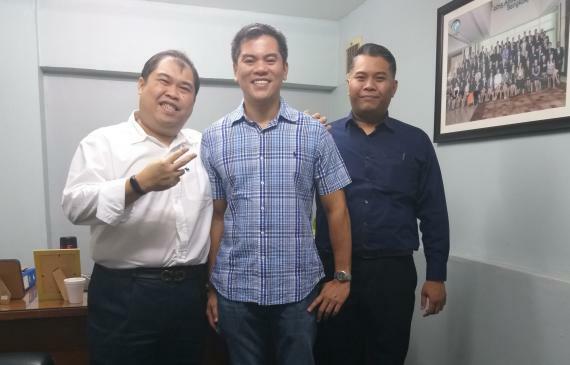 Freight Facilitators Import & Export Officer, Jimbo said “Just to share with you our member Indonesian counterpart, Trans Pacific International represented by Mr. Verdi Sjahlendra and Mr. Vendi Sjahlendra had a three day business trip here in the Philippines from 19-21 November.